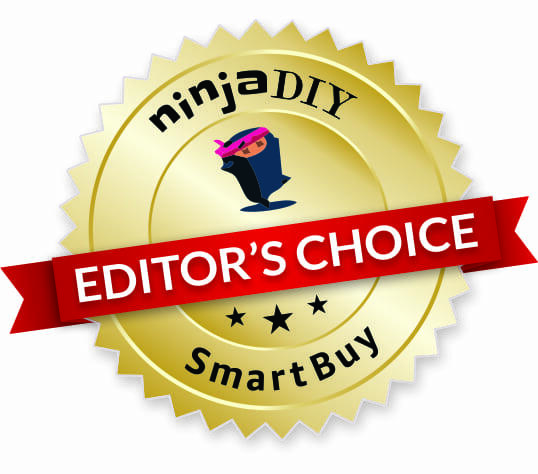 If you are in a rush … here’s my ninja recommendation for the best laser level under $100 for any small home renovation and home improvement jobs. … how about a selection of laser levels under 100 dollars for all of you ninja DIYers? Is the device projecting vertical lines? How about cross-line laser lines? 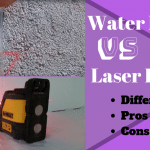 So before we go straight in … here’s a table with specs and details that you can easily compare quickly in order to see the differences between these five laser level. 4 Conclusion ... What's The Best Laser Level Under 100 Bucks? 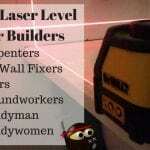 These five laser levels under 100 bucks are great for use in home improvement projects. They deliver decent quality at an affordable price. The Bosch GLL 2 cross line laser level features highly visible laser lines, a smart pendulum leveling system and a flexible mounting device. It also includes an MM2 flexible Mount which allows for versatility during multiple leveling and alignment applications. The kit includes a GLL 2 Cross-Line Laser, MM 2 Flexible Mount, and 2 AA Batteries. Self-leveling action: Bosch GLL 2 has an automatic self-leveling capability, and highly visible laser lines, which will help ensure that you have a proper layout. Line projection and good visibility: it projects laser lines together or independently. The Bosch GLL2 produces strong, clear lines which are deployed in three modes for maximum flexibility in all of its applications. These modes include independent, vertical and horizontal lines and both vertical and horizontal lines together. A single button makes it easy to switch between these modes or to turn the device on/off. Flexible mounting device: the Bosch GLL2 can be clamped on virtually any surface to produce level lines at any height and angle. The Bosch GLL 2 Cross Line Laser Level uses 2 AA batteries which have a short life. It cannot hold perfectly on all surfaces it is mounted on. The GLL 2 has a limited range of 30 ft. The Bosch GLL 2 comes with a 2-year warranty, is blue in color, and weighs 1.8 pounds. Most users found the mounting clamp useful, for attaching the device onto various surfaces. The consumers found this model to be better calibrated compared to older models. The ability of this device to level out precisely with a wide bright visible line makes it a favorite to many DIY enthusiasts and construction professionals. It is definitely worth the money. The owners were however unhappy with the batteries. AA batteries are not known for their ability to retain a charge for long. With the Bosch GLL2, you can be more productive and achieve great accuracy, and precision on the job. The AdirPro cross line laser is an entry-level tool that is both pleasing to look at and also useful for numerous precision works. The cube is self-leveling and can project a level line up to a 3° slope. As far as precision goes, the cube is accurate to within +/- 2mm at a range of up to 33 feet. The laser’s range is a hefty 65 feet. This model emits two separate red laser beams which are vertical and horizontal. These beams are generated at a wavelength of 635nm. The laser level comes with three AAA batteries which means a longer, uninterrupted usage. This device has a self- leveling feature that ensures precision and quick operations. The laser level has a limited range of 20 meters and the laser beam is not visible in more ambient lighting since the laser is red. A carrying case, a tripod, red laser glasses, 3 AAA batteries, and a custom mount. The consumers seemed to love the self-leveling feature as it saves time on leveling. The only drawback would be that this model is not suitable for outdoor tasks since the red lasers dissipate in outdoor lighting conditions. The Huepar Box-1G Cross Liner Level is surprisingly simple to use. The laser level has a one-button operation that makes it easy to switch between crossed lines, horizontal or vertical lines. When powered on, the Huepar cross-line laser, self-levels and projects one vertical and one horizontal laser line on the wall. Depending on your preferred working height, you mount the laser on the tripod onto the magnetic base spin the base to set the angles. A cross-line laser establishes a constant reference line, hence no need for multiple measurements. All layout jobs can be completed quicker and more accurately. Tripod and laser enhancement lenses which are specially colored to increase the beam visibility in high ambient lighting. An easy-to-adjust magnetic base, a carrying pouch, a target plate card and 4 AA batteries. The tripod telescope and central column can extend to a maximum height of 47 inches. During packaging or when not in use, it can collapse to store in the hard case together with the lenses and laser. Has a precise self-leveling system: the cross line laser is self-leveling within +/- 1/13 of an inch at a range of 33 feet. The green laser is a Class II laser emitted at a wavelength of 510nm. This Huepar laser level is shock resistant, impact resistant and wear resistant. An easily elevating tripod: the cross line laser can be used either on a tripod or not. The tripod has a range from 17 to 47 inches. The tripod legs are also adjustable, for use on uneven surfaces. Easier and safe for transport: the kit includes a durable hard shell carrying case with a locking mechanism to hold the internal components of the laser level in place. The AA batteries are a below-optimal power source. The Huepar Line Level has a 1-year limited warranty that can be extended to 2 years after registering this product. In our findings, consumers find this model to offer great features for the price. This laser level is built tough for professional application. To most consumers, this model exceeded their expectations for installation, repair and maintenance projects. The self-leveling feature allows for enhanced utilization. ☛ If you liked this little gadget ... you might be interested in learning more about some of the best green laser levels out here. The Bosch Laser and Square GTL2 is easy to use with one button for the operation to power 2 perpendicular laser lines at 90 degrees. It is a versatile tool that projects vertical and horizontal chalk lines on a surface up-to 30ft. it will help you to square, align and angle at 90 degrees. It is convenient for alignment guides for 90-degree layouts and for calculating turn angles in 5 degrees increments. It is very accurate: the Bosch laser level and square provide precision and accuracy to within 1 inch per 100 feet while the vials ensure a level tile. The Bosch laser level retains a bright and visible laser line for up to 30 feet. Power corded this ensure a sturdy working process throughout. The laser level is unsuitable for outdoor projects as the laser light dissipates very much in exterior lighting conditions. Come with a 2-year warranty, and weighs in at 3 pounds. In our findings, consumers preferred this model as the best laser square of the lot, decent for the price and very versatile. Being corded, the consumers seemed to prefer that it came with a portable, battery-powered variant. The HAMMERHEAD Compact Self-Leveling Cross Line Laser with Adjustable Mounting Clamp can project bright vertical, horizontal or cross lines onto flat surfaces. Accurate to +/- ¼ inch at 30ft. Self-leveling within 4 degrees level and has an LED indicator which turns red when the unit is in the position of the self-leveling range. In manual mode/lock mode, cross line laser can project lines that are plumb/not level. With an adjustable mounting clamp that attaches easily on surfaces giving the laser a broader usage. This model projects a bright laser line: the cross line laser is bright enough making it ideal for interior projects. The device’s accuracy is within a ¼ inch at a range of 40ft. It has 3 laser-line modes: plumb, level, and cross-line. The device comes with an adjustable clamp for multiple applications. The device uses 2 AA batteries which give it a limited usage and range. This laser level has a limited range of 40ft and is useful only at ambient light. Adjustable Mounting Clamp and 2 AA Batteries. The product comes with a 3-year limited warranty, weighs at 1.55 pounds. The consumers preferred this model for the bright laser which is very ideal for interior works. The device is highly accurate which saves time. Before we go to the conclusion...here's a very helpful video about the different types of laser levels on the market and how each one of them works. Conclusion ... What's The Best Laser Level Under 100 Bucks? For your easy home projects that require a laser level, you will not need to overspend. These lasers are affordable and have superior features such as self-leveling and multiple projections. I'll go with the Bosch GLL 2 today! Mostly because is the best laser level brand from the ones that I've shared with you today. Bosch ... has been creating amazing tools over the years and is a trusted brand. "You get what you pay for!" 🙂 Right? Well, ninjas, I hope you can make the right decision based on my little article here, and share with me your thoughts if you want. 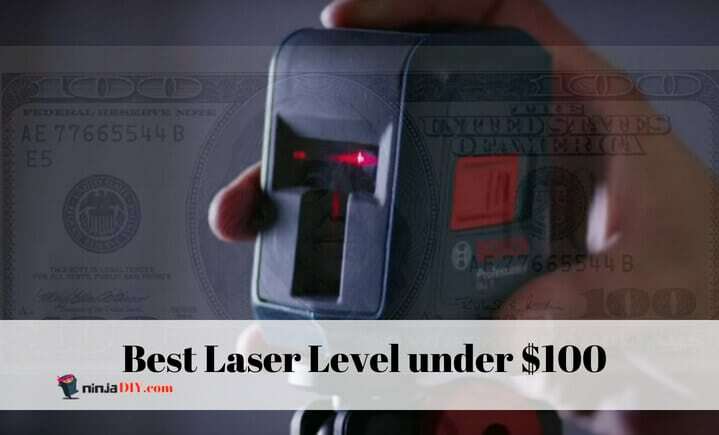 Let me know in the comments: What is your choice of a budget laser level?